Proprietary Name: Caretouch Alcohol-free Foaming Hand Sanitizer What is the Proprietary Name? 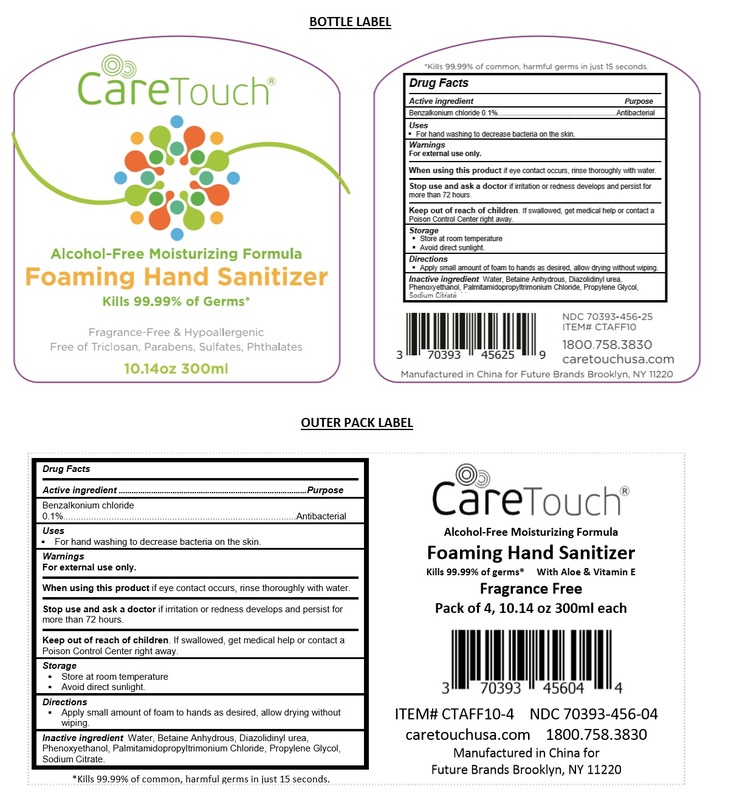 Caretouch Alcohol-free Foaming Hand Sanitizer with NDC 70393-456 is a a human over the counter drug product labeled by Future Diagnostics Llc. The generic name of Caretouch Alcohol-free Foaming Hand Sanitizer is benzalkonium chloride. The product's dosage form is liquid and is administered via topical form. • For hand washing to decrease bacteria on the skin. For external use only.When using this product if eye contact occurs, rinse thoroughly with water.Stop use and ask a doctor if irritation or redness develops and persist for more than 72 hours. • Apply small amount of foam to hands as desired, allow drying without wiping. • Store at room temperature• Avoid direct sunlight.